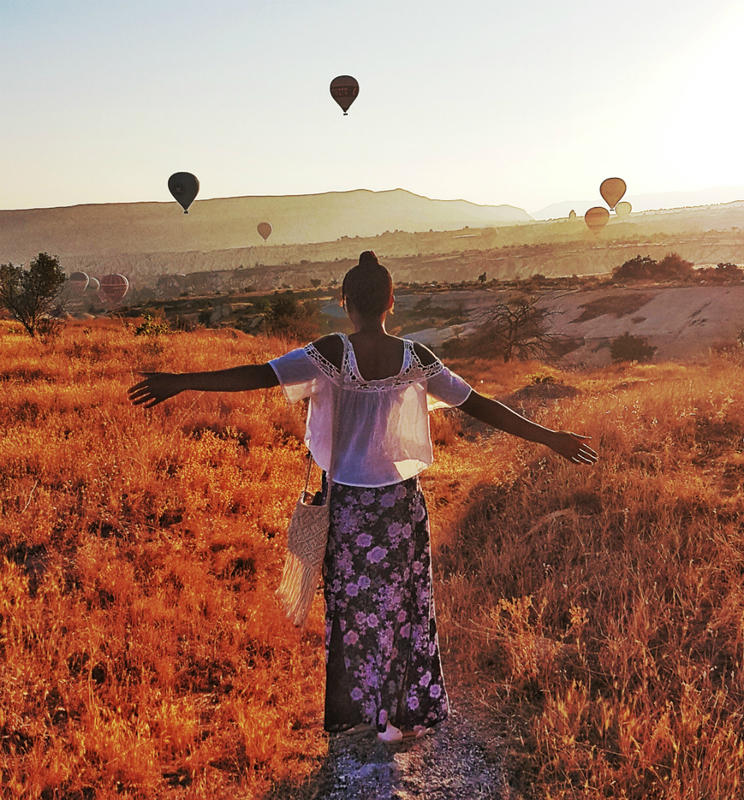 Waking up at 3.30am is well worth it for a dreamy sunrise hot air balloon ride over the one of a kind city that is Cappadocia. and back home in London it was only 1.30am! 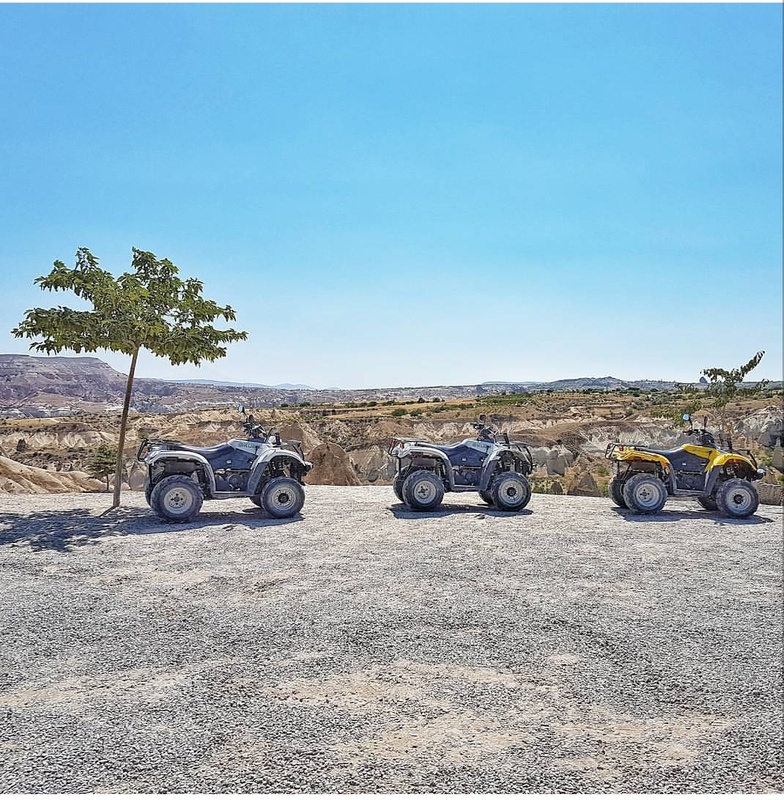 We were picked up from our hotel in Cappadocia at 4am and driven to base for breakfast. 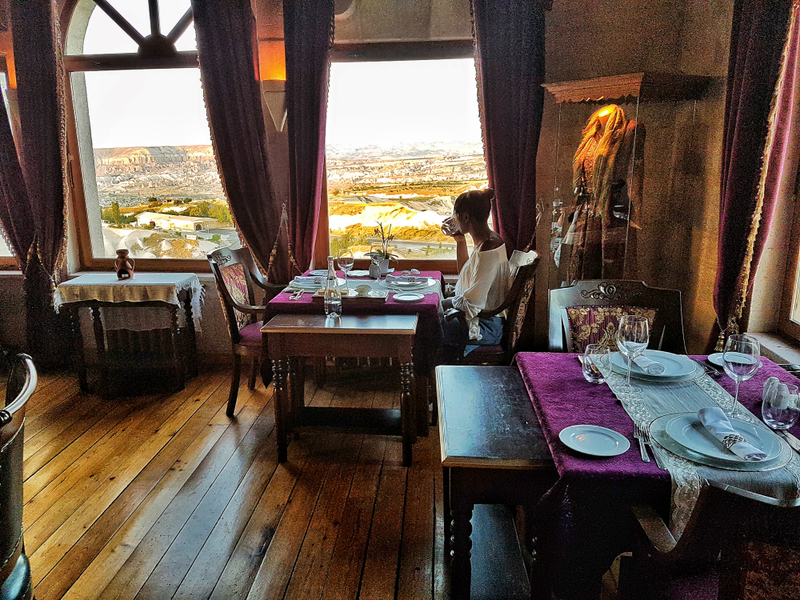 After our breakfast we made a short journey to the Cappadocia hot air balloon flight point. Still dark outside we watched as flames shot up into the balloons before being helped into our 12 person hot air balloon. The friendly hotel manager of Hermes, Cappadocia recommended this company to us and I'm so glad for his insight. There are many balloon companies to choose from. If you go for the cheapest option your flight may not be as smooth sailing. Paying a bit more for a safer, more experienced pilot is recommended. That's what we did. 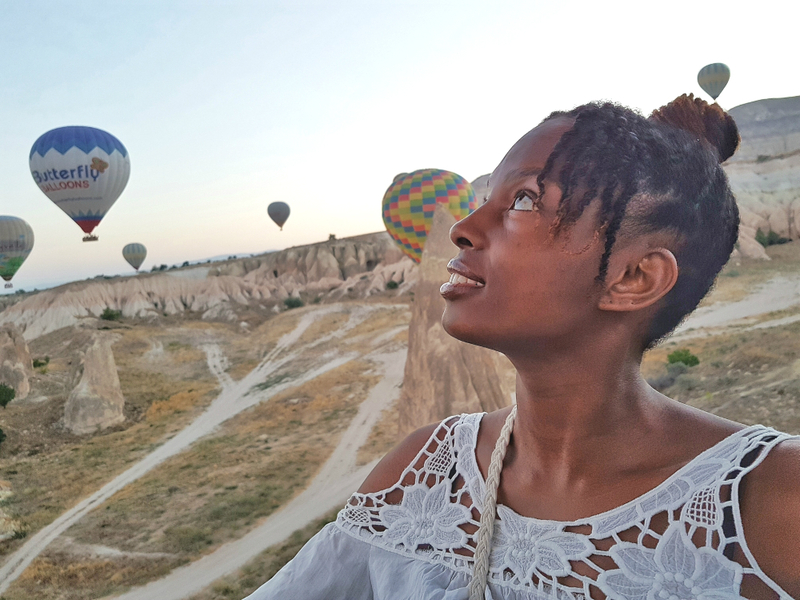 Also, the size of our balloon basket was on the smaller side, which meant a more intimate flight with less arms and heads in the way when trying to get those oh so important shots of the scenic Cappadocia landscape. You don't feel as though you're flying high, but I guess that's because you're only gently floating upwards. As a balloon does when there aren't any winds to contend with. 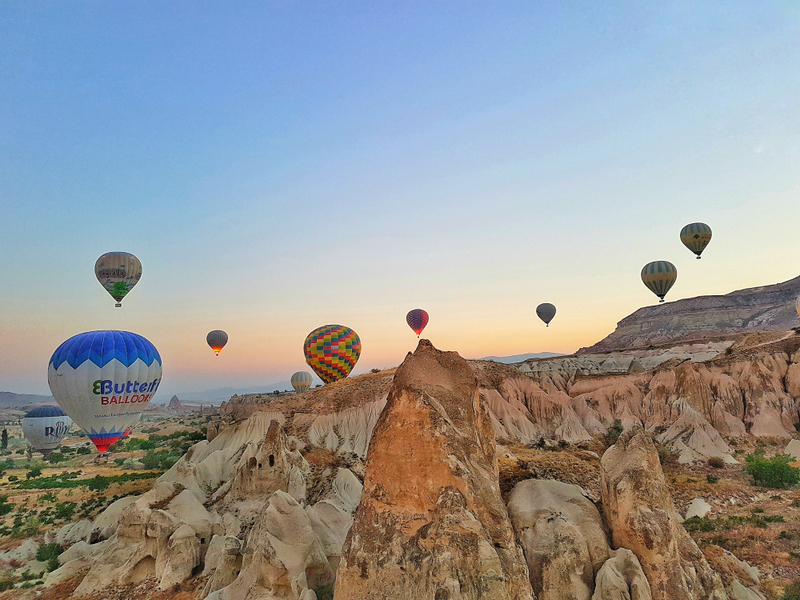 We took in views of a gorgeous sunrise and views of the other balloons in flight over the horizon in Cappadocia were just fantastic. It wasn't too hot, or too cold at this time of year to wear a light top without a jacket. I would however recommended good walking shoes and trousers or leggings as you'll need to climb in and out of the balloon. Once we had landed, we enjoyed some celebratory champagne and ground level photo ops. 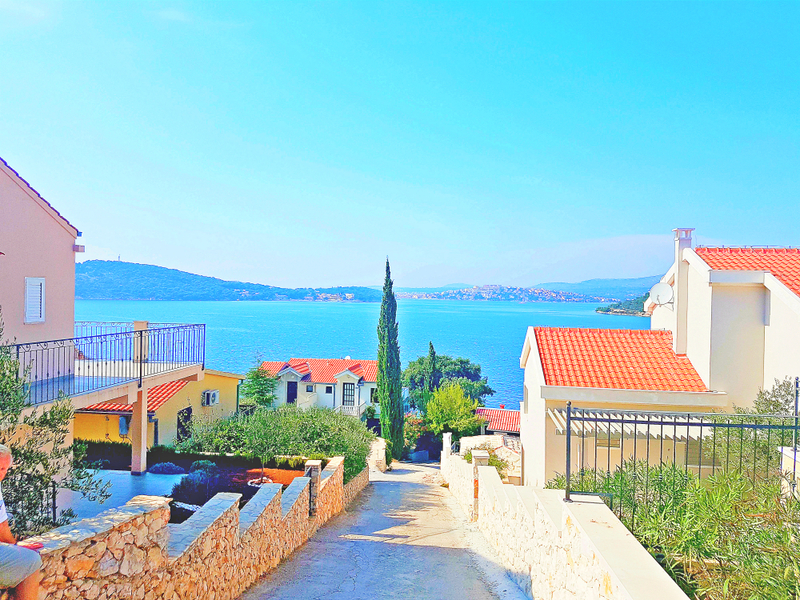 It was a beautiful start to our day. It was back to bed for us when we got back to our hotel! 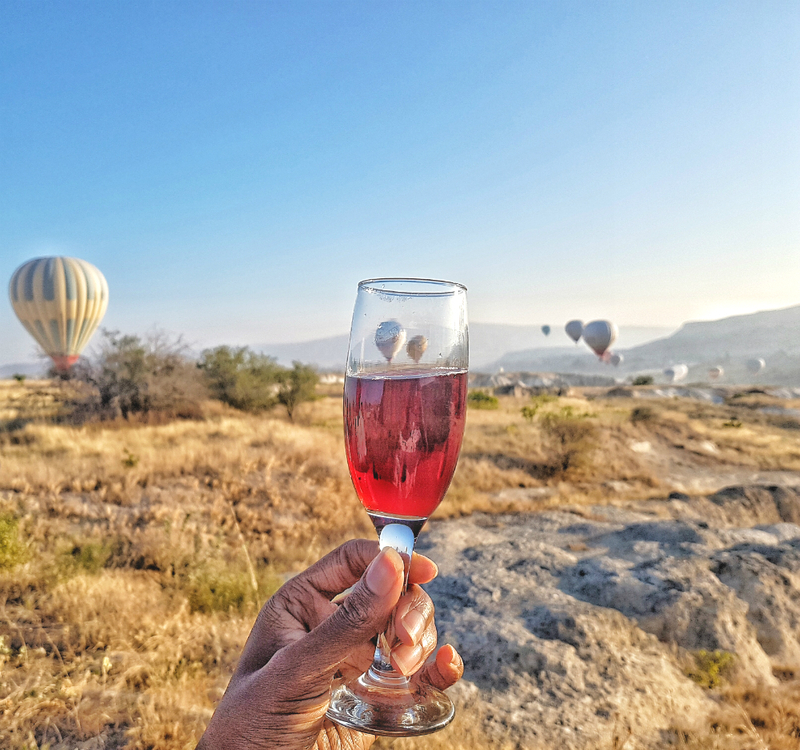 Found this Cappadocia hot air balloon review useful? Subscribe to www.GoneSunWhere.com for more food and travel tips.